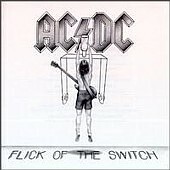 While the riffs generated by the twin-guitar attack of brothers Angus Young (lead) and Malcolm Young (rhythm) are what the band will always be remembered for—and they are legion, and often astonishingly potent—the humor that charismatic frontman Bon Scott brought to their early albums gave the songs dimension, inviting the listener to laugh along with the band at the patent absurdity of a creation like “The Jack” (a clever, bluesy ode to venereal disease). It also meant that when they got harder and heavier on albums like Let There Be Rock, their attempts at menace still felt like they came with a knowing grin. When Scott died in early 1980, the three-legged stool of mammoth riffs, macho bluster, and low-brow laughs lost a leg—the undercurrent of humor that made even the heaviest tune feel light on its feet—and the band, despite the best efforts of latter-day lead vocalist Brian Johnson, has never been the same. 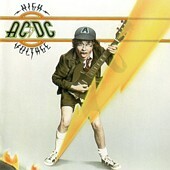 From 1981 until 2008, AC/DC went through a long creative drought, churning out album after album of largely humorless, two-dimensional hard rock. 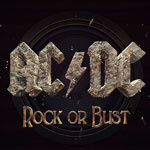 Fortunately, just as the band threatened to go out with a whimper rather than a bang, they seemed to recover their stride, releasing their best work since 1980 in Black Ice (2008) and Rock Or Bust (2014). While there’s no telling yet if the group—now down to just one original member, Angus Young—is done, either way, they’ve had a remarkable run as one of rock and roll’s great riff machines, cranking out hook after memorable hook. Side Note: As is our custom with these, this ranking excludes live releases—which is a shame, since 1978’s If You Want Blood (You Got It) is one of the highlights of the golden age of the live album (a.k.a. the 1970s). If it appeared here, it would surely make the top five, maybe even top three. Some of you will call this cheating, and you will have a point. But let’s face it: these are all basically the same album. The same mediocre, predictable, overflowing-with-filler, professionally executed but distinctly unmemorable album of thumping hard rock tunes that chug along without ever really catching fire like the boys’ best work does. 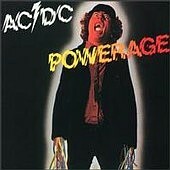 AC/DC slogged through a long and only briefly interrupted creative drought during this period, but it did eventually end. To be fair, 1980’s Back In Black was an impossible album to follow. It was too big, too important, too iconic for the follow-up to be anything but a disappointment in comparison. And indeed, For Those About To Rock—beyond the clunky yet undeniably popular title track—offers almost nothing distinctive. The lyrics in particular seem a definite step down from the Scott days, full of clichés and lacking the biting humor of Scott’s work, leading to speculation—which persists to this day—about whether some of the lyrics on the far superior Back To Black might have been penned by Scott prior to his death. This album very nearly slips into the catch-all category above, as for the most part it suffers from the same malady of forgettable songwriting, but there are two exceptions—and they are the two best songs the band produced between 1981 and 2008. 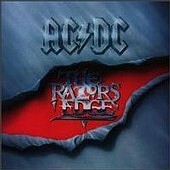 “Moneytalks” is as close as AC/DC has ever come to duplicating the feat pulled off by “You Shook Me All Night Long,” e.g. fusing the boys’ roguish hard-rock sensibilities with those of mainstream, melodic guitar-pop. And while “Thunderstruck” is as simple and repetitive as they come musically, it achieves something the band rarely achieved during its fallow years: it’s memorable. The band returned to form when, ironically enough, they finally started acting their age. Setting aside – for the most part—the cheesy double entendres and tough-guy poses they had wallowed in ever since Scott’s passing, the Young brothers brightened the band’s lyrical focus a bit and found their groove again. Brendan O’Brien’s spacious production and a quartet of winning songs in “Rock N Roll Train,” “Skies On Fire,” the distinctly poppy “Anything Goes” and the notably bluesy “Rock N Roll Dream” lifted the band out of the mire they’d been stuck in for 27 years… even if the rest of the album was mostly filler. 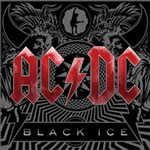 Picking up where they’d left off in 2008, AC/DC rallied through the loss of founding rhythm guitarist Malcolm Young to dementia (replaced by nephew Stevie Young) to deliver another appealing set. This time the track list is packed with odes to the power of rock and roll itself like the muscular “Rock Or Bust,” the ringing “Rock The Blues Away,” and the appropriately thunderous “Got Some Rock & Roll Thunder.” They add a sly grin and elbow nudge to a song that’s ostensibly about baseball (“Play Ball”), but the come-ons are mostly foregone in favor of solid riffing and bruising anthems like “Baptism Of Fire.” There’s nothing new or especially notable here, but if this turns out to have been the band’s swan song, it was a good ’un. This one is a mixed bag, a batch of rough-and-tumble early tunes that includes some of the group’s crudest lyrics and rawest arrangements. That said, it also includes one of the best songs the boys ever made—the ferociously propulsive title track, with more genuine grit and drive than the band’s entire post-1980 catalog—not to mention the cheeky “Big Balls,” the blistering “Rocker,” and the group’s initial take on the bludgeoning “Problem Child.” There’s a substantial drop-off in quality after those four, but that quartet of tunes is enough to push this one up to number six. The Bon Scott-era band’s heaviest album unleashes a relentless flood of potent riffage. 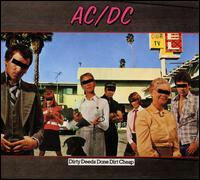 While the album brims with familiar classics like the title track, “Problem Child,” “Hell Ain’t A Bad Place To Be” and perpetual concert favorite “Whole Lotta Rosie,” the secondary tracks are nearly as strong, with the thundering capitalism critique “Dog Eat Dog” and the sneering, autobiographical “Bad Boy Boogie” leading the way. Some would place this one higher, with justification; it just feels a little dark for my tastes overall, and the title track has always seemed a tad overcooked to me. On the last of their early albums to feature their original production team of Vanda & Young, the boys assembled an uneven but frequently superb set of tunes. While one or two tracks in the late going feel tossed off, the highlights—“Rock ’n’ Roll Damnation,” “Down Payment Blues,” “Gimme A Bullet,” “SIn City,” ”What’s Next To The Moon,” “Up To My Neck In You”—are excellent, and the hammering “Riff Raff” is a virtual topic sentence for the band, celebrating their own scruffiness with volley after volley of gargantuan riffs. 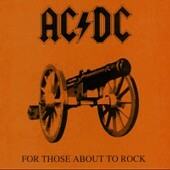 The tour that followed this album, captured on the live release If You Want Blood (You’ve Got It), was the one that turned AC/DC from the heaviest novelty act in town into arena (later stadium) rockers of the first order. The group’s U.S. debut still stands tall among the decade’s hard rock milestones, with irresistible anthems like “Live Wire,” “T.N.T.” and “High Voltage” interspersed with the brilliantly low-brow humor of tunes like “The Jack” and “Can I Sit Next To You Girl.” And it shouldn’t take Jack Black to convince you that the self-mythologizing “It’s A Long Way To The Top (If You Wanna Rock ’n’ Roll)” is a genuine classic; the indelible chorus and unique use of bagpipes should accomplish that on their own. Hell, “It’s A Long Way” was so good, the first thing they did was write the same song all over again, this time playing it for laughs (“Rock ’n’ Roll Singer”). 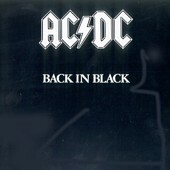 Regarded by many as the band’s high point, Back In Black is an album whose undeniable impact comes mostly from three sources. The context: Bon Scott had just died and the rest of the band decided almost immediately to forge onward, harnessing the emotion of the moment to rock harder than ever. The production: Robert John “Mutt” Lange’s crisp, fat sound achieved its apex here, imbuing these riffs with almost mystical power. The quality of the best songs: “Hells Bells,” “Shoot To Thrill,” “You Shook Me All Night Long” and “Rock & Roll Ain’t Noise Pollution” are all top-notch cuts, and the title track is downright iconic, a stutter-stepping roundhouse right to the jaw. Where BIB slips a notch in my view is on a handful of the secondary tracks where this album’s dark edge takes over and the playfulness of the band’s former frontman is sorely missed. Scott’s leering double entendres felt harmless because he made it clear it was an act, a big joke that the audience was in on. Absent that undercurrent of humor, some of the secondary tracks here cross the line from winking bad-boy silliness to mean-spirited misogyny. 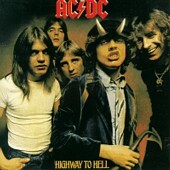 Much like a Young brothers riff, let’s get right to the point: Highway To Hell is one of the best hard rock albums ever recorded. The AC/DC catalog is littered with albums whose strongest moments are undercut by second-rate filler cluttering up the back end of the track list. Not this time. There simply isn’t a weak song here; from the title track’s gargantuan opening riff to the growling, playful menace of closer “Night Prowler,” this album is all killer, no filler. And “If You Want Blood (You’ve Got It)” and “Shot Down In Flames” are two of the best tunes the band ever recorded, the former a head-banger’s dream and the latter a masterpiece of self-deprecation from the wittiest thug ever to front a rock band. 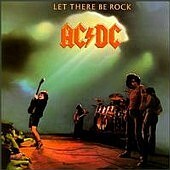 AC/DC just doesn’t get any better than this.